In which way section 8 can assist low income community to rent a house in the Bronx or in Queens. 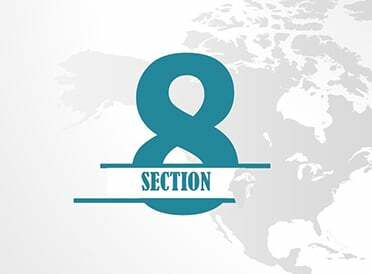 Section 8 is a government program assistance designed to help low income families, seniors or disabled people. This program helps those who are otherwise struggling to support their monthly rental payments. The section 8 program is providing full or partial monthly rental payments to those who are qualified for the program. Who Can Qualified for the Section 8 Program? The qualification will be determine based on your income level and assets. To get qualify for section 8 you need to be 18 years or older, either a U.S citizen or a resident with an eligible immigration status. In addition, the income level should be within (at least) 50% below the median income level in your area. How The Section 8 Process Works? To get started with section 8 you’ll need to gather your financial documents (w2’s, pay stubs, tax returns, proof of disability, bank statements and any document that indicate your financial hardship). Next, contact your local public housing authority Finally, submit an application with your basic information and supporting documents. The local PHA agent will assist you filling up your application and with translation if don’t speak fluent English. Once your application has been submitted and processed, the PHA agent will schedule an interview for you. Upon your application approval, you’ll be able to search for a rental unit that accepts the section 8 voucher. Our recommendation is to first submit the application, get approved and only then start searching for your rental unit. First is the landlord’s willingness to accept the program, then is the unit’s compliance with section 8 guidelines for safety condition. The unit must be free of asbestos or hazardous materials. Most importantly, there must be heating, electricity and running water in the unit. After you’ll find the right unit, you’ll need to provide the landlord with your section 8 package to complete his information for the PHA final review. An inspection of the unit will be conducted to determine if unit meets the section 8 guidelines, when all looks well, both you and your landlord will be able to engage in a leasing agreement. The PHA will also do a periodic review of the applicant to make sure that they are still eligible for the program.